Australia’s list of the most watched videos on YouTube featured global success stories ‘Gangnam Style’ and Kony 2012 as well as home grown parodies and a reality TV moment. South Korean pop sensation Psy’s ‘Gangnam Style’ was the most watched in Australia, mirroring its result on YouTube’s global list of the most watched videos of the year, while Kony 2012 took second place and a cover of Australian musician Goyte’s ‘Somebody That I Used to Know’ took third. 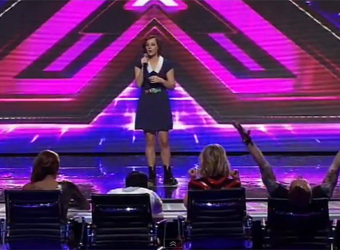 X Factor contestant Bella Ferraro proved that power still lies in the talent show format, with her rendition of Bon Iver’s ‘Skinny Love’ taking fourth place on the list. The song, which was also released around the same time by Australian artist Birdy, took eighth spot in iTunes’ most bought songs for 2012. Nova radio jocks Fitzy and Wippa claimed two places in the top 10, with their parodies of ‘Gangnam Style’ and Carly Rae Jepsen’s song ‘Call Me Maybe’. A third video about ‘Gangnam Style’ made the top 10 – Psy teaching Britney Spears the dance to his song on American talk show Ellen. A spokesperson from Google Australia said the list was put together “to capture the spirit of the year on YouTube by looking not just at views or particular categories of videos, but also shares, searches, likes and responses”. 7. Surprise! Britney Learns ‘Gangnam Style’ from Psy!